I had a dream we were millionaires, but you didn't even care Melancholic? Harmonious? Deliberate? Impactful? How 'bout all of the above? 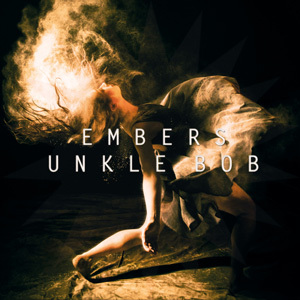 Embers is the third album by Unkle Bob, an indie rock quintet out of Edinburgh, Scotland, and the brainchild of singer/songwriter Rick Webster. The band's success seemed imminent as their first two albums gained critical acclaim, and their music made was placed prominently, including in ABC's popular drama, Grey's Anatomy. But without a spark to keep growing the band's popularity, they split up and went their separate ways...until late 2013. Webster released a crowd-funded EP under the band's moniker that seemed to rekindle fans' interest in Unkle Bob's music.